My father Frank Waite SNR was a prisoner of war in this camp for eighteen months till the end of the war. He was in the Buffs and was captured on Leros by the Fallschirmjäger I assume as he says they were paratroopers. 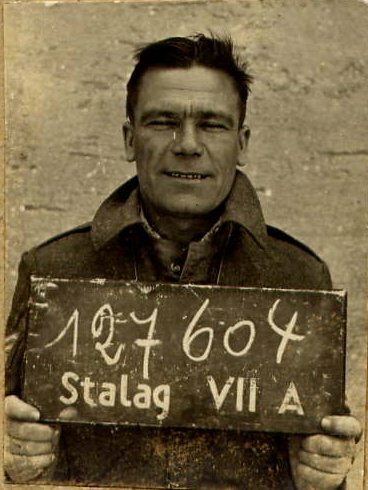 He spent time in a hospital in Athens with plurasy and was then moved up through Greece and Yugoslavia to Stalag VII A.
I don't have any written records of my father's stay at Moosburg, but he talked about it many times and told me many stories of his stay in Stalag VII A. In fact he loved telling his stories all about his time in the army altogether. My father always told me the prisoners were well treated by the guards there although conditions were harsh. He often tells me that the prisoners were sent to Munich some time to help clear the streets after some of the bombing raids. He told me at the entrance to the prison camp there was a fantastic carving of waggons and horses which unfortunatly the Americans destroyed when they arrived to liberate the camp. My father always spoke very highly of his dealings with the German military and never had any animosity whatsoever after the war. Unfortunatly dad passed away in 1992 (he was 82). He would have loved to find out about a site like this. 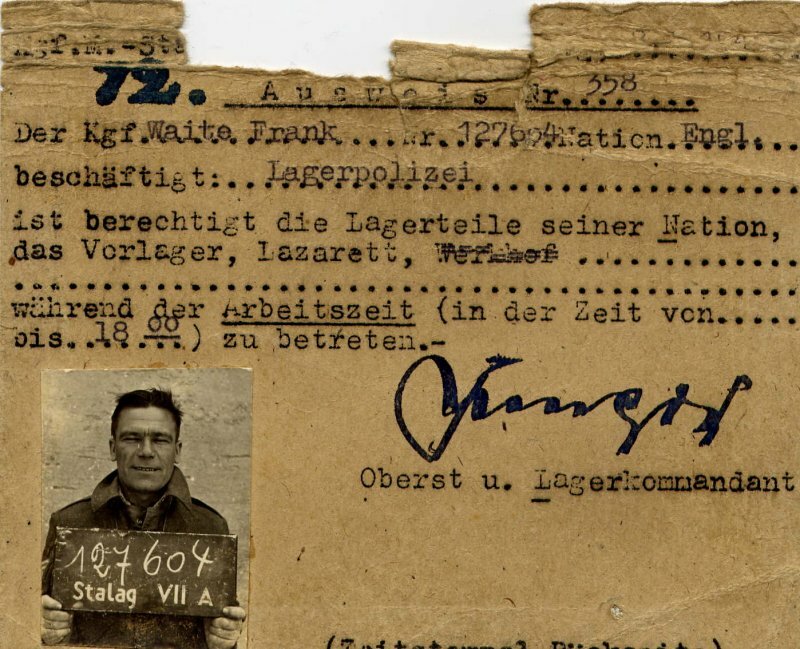 I had his prisoner of war card at home and although it's frayed around the edges a bit the picture is very clear. My wife and myself went to Germany for our two weeks holiday in the summer of 2005. We did a week in Berlin and a week in Munich. We had a great time and the people were really friendly. While in Munich we had a trip to Moosburg. We went to the town hall and the deputy mayor drove us to the house of Mr Braun, the former director of Moosburg's museum. We had a good talk and he and his wife drove us round some of the remaining sites and the memorial. Also we left the POW card of my dad with Mr Braun for the museum. Last update 16 Sep 2005 by © Team Moosburg Online - All rights reserved!